Two types of satellite dishes can be placed on a property. Two types of satellite dishes can be placed on a property. One type can be connected to a pole and mounted in the ground, and the other can be attached to the building. Satellite dish specifications must be followed when this structure is added to a property. Please note that it is the homeowner's responsibility to ensure permits are obtained. A free-standing satellite dish, which means it is connected to a pole mounted onto the ground and is not attached to any part of a building, and is over 1 m (3.28 ft.) in diameter requires a development permit. 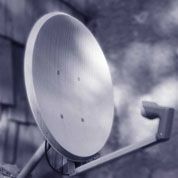 A satellite dish which is attached to a building, and is over 450 mm (18 inch) in diameter, requires a building permit. Even when it is attached to a balcony, it is still considered attached to a building, and must be reviewed under the Alberta Building Code regulations. A satellite dish may be painted any colour. However it cannot be illuminated or used as an advertising sign. A development officer may require you to screen off or use landscaping to minimize the visual impact of your satellite dish. A development officer will review the application according to the Edmonton Zoning Bylaw. If approved, a development permit will be issued. If there is a relaxation required, public notification is required. The notification period, in which your neighbours may appeal the development officer's decision, is approximately four weeks. If required, the application is then reviewed by a safety codes officer. If an application is refused, an appeal can be made through the Subdivision and Development Appeal Board, Churchill Building, 10019 103 Avenue NW, Edmonton, Alberta, T5J 0G9, Phone: 780-496-6079. A final inspection is mandatory under the building permit process. Contact our office at 311 to arrange an inspection once the work is completed. Mailing address is listed above. Cheques must be payable to the City of Edmonton. Please allow for additional processing time when applications are mailed. By Phone 311 for 24-hour information and access to City of Edmonton programs and services. Or, if outside of Edmonton, 780-442-5311. Building permit: Fee will be the total of your building permit (based on the construction value involved in installing the satellite dish) plus a safety code fee, which is charged on all building permits.